Detergents, household cleaners, solvents, repeated friction on the skin (textiles, crafts ...) or extreme weather conditions all contribute to skin irritations awkward and uncomfortable in everyday life. 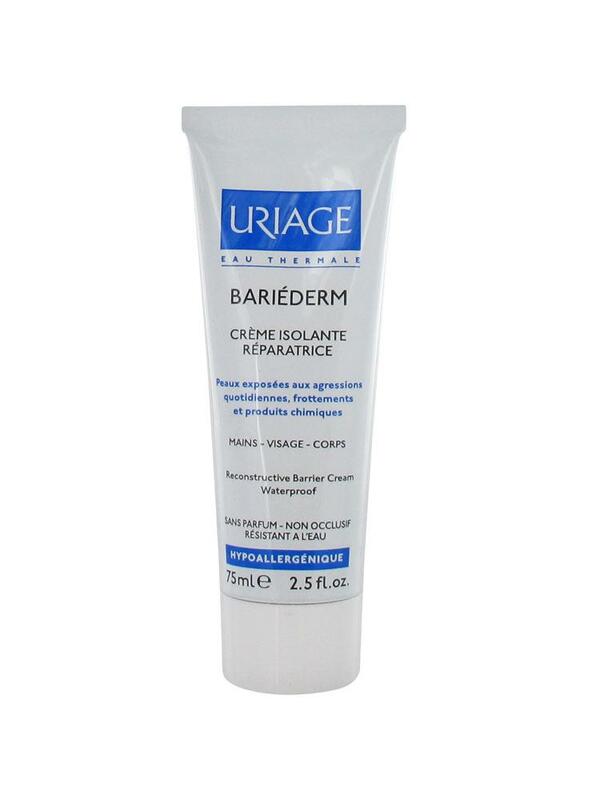 The unique composition of Uriage Bariéderm Reconstructive Barrier Cream 75ml makes it a real barrier cream with an original action on two levels. 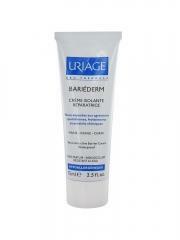 With Poly-2P, patented complex resulting from Uriage Dermatological Laboratories, Bariéderm isolates the epidermis in surface, without occlusive effect and supports is repairing in depth. Squalane and plant sterols, combined with Uriage Thermal Water, bring comfort and healing. Apply as often as necessary to the cutaneous zone intended to be insulated, protected or to be repaired. Bariéderm is invisible when applied and leaves a non greasy soft film on skin. Indication: Protection against chemical irritations, frictions, aggressions and extreme climatic conditions. Hands, face and body. Active Ingredients: Poly-2p, Squalane, Stérols végétaux, Eau thermale d'Uriage. Did not use the product by myself, sent it to a friend who asked for the same product again for excellent quality. very good as I said earlier,good French products and service. I just love Uriage, the reason I started using it is because I, unlike most women I neverever wear foundation, so I like to use Uriage as a moisturiser for my face as it is very moist, I just love that feeling on my skin. I discovered this product in South Africa, as I wanted shine and moisture, I personally do not like a matt look.